Last weekend Tiger girl and Doggie boy participated in their school’s annual sports day. It was Tiger girl’s fist time participating and Doggy boy’s last year to participate as he leaves for elementary school next year. As it was her first time participating in a relay the teachers were on hand to guide her through every step of the relay. R and I were cheering her on from the sidelines and she really enjoyed herself. Tiger girl’s group came in 2nd position and she was given a silver medal for her effort. Doggie boy had a more complicated relay to tackle as compared to the one Tiger girl had. 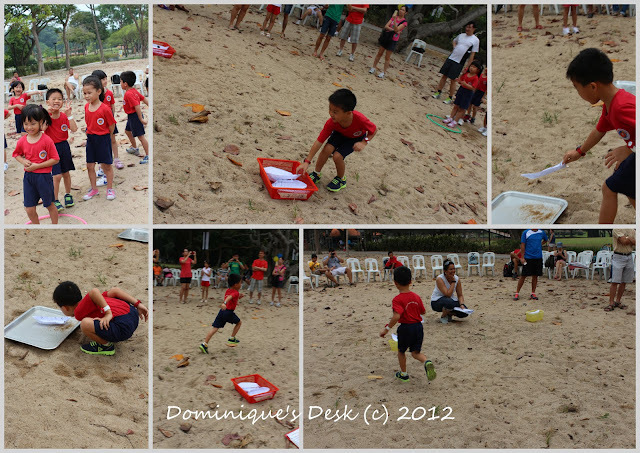 He had to take a paper boat, run with it, blow it across a tray and then carry the paper boat over to the end basket and drop it in before running back again. It was a great effort and he was really proud that his team came in first and they won a gold medal each. It was great fun for both the kids and they came home with a medal each. How cute!!!! They look like they were having a ball! The kids are soooo cute ha! great parents-kids bonding! SO cute! What a fun day – next stop Olympics!! Cute kids! I’ll bet they win First Prize every day in your heart! Cute kids! have a wonderful WW. Looks fun! Congratulations to both of them! Your kids’ childcare had the sports day held at seaside? My younger boy’s olympics is in middle of Oct. Parents are required to participate with children. that’s fun! Lil Pumpkin is going to have her 1st sports day next month.. looking forward to that! Lovely photos – they must be very proud of their medals! looks like everyone was having so much fun! Wonderful post! You got such great pictures! Looks like they had a great time! Congrats to both! looks like your daughter and son enjoyed those activities they joined. 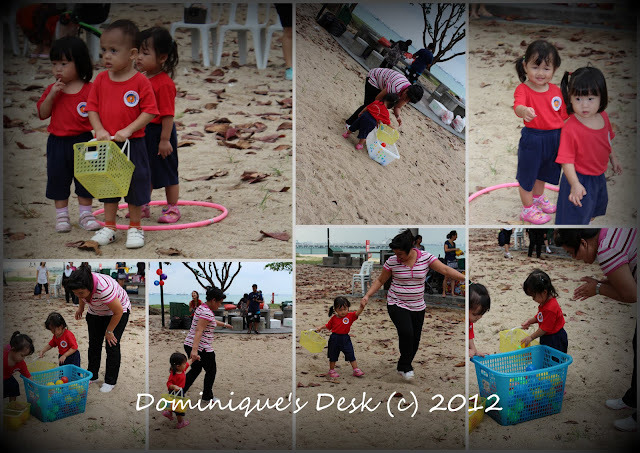 I think there will be plenty of these activities for the coming months/years that they will surely have lots of fun.